I think one of the things that I really liked about Women in Publishing was that it was politically very committed to feminism and I would say probably generally quite left wing in its approach. But it was a very inclusive environment and most of the people there were people who were part of the same world that I was in. Whereas some of the other feminist groups that I’d come across were much more radical and I felt less comfortable identifying myself with them, even where I supported their objectives. They were people who were defining themselves very much outside the mainstream. Whereas I think that’s one of the things that was good about Women in Publishing is that it was in the mainstream but trying to change the mainstream. 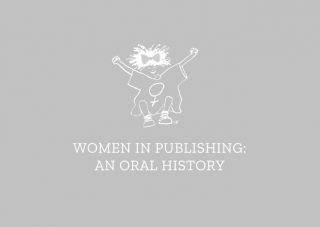 And I think that one of the main things that it achieved is that women whose careers and networks were nurtured in Women in Publishing became senior managers and directors and chief executives of companies. So people like Gail Rebuck became very senior in the industry, and I think that even those women who weren’t quite so active benefitted from that confidence and, in some cases, directly from the training that WiP set up. So I think that WiP was in a way quite radical in terms of, or perceived as being radical, just by arguing for equal pay for women and that they should be promoted, and to get rid of the glass ceiling and all of those important feminist issues, but sort of socially much less so.